Welcome in my home to cook & enjoy lunch together ! Food and cooking are at the core of our culture and that brings people together to share great moments in life. Through selecting the appropriate recipes and ingredients, to preparing and tasting its typical dishes, share a special day with me on the local food markets meeting the producers and tasting their products, stopping by a prestigious local winery to taste and get their best wine and cooking in my countryside home for a Provence Gourmet genuine adventure and a typical delicious lunch on our 12 acres countryside home. You will be immersed in an authentic Provencal atmosphere. 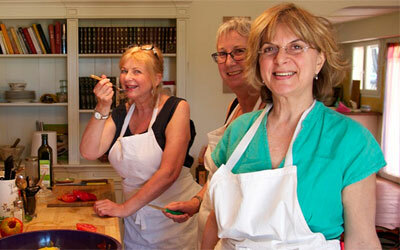 Welcome to my Provence Gourmet cooking class. 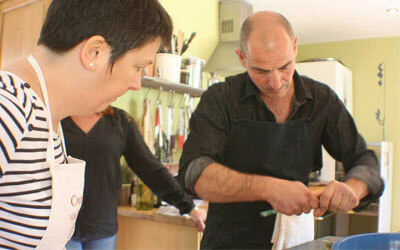 “Gilles is a perfect host who led us into the making of provençal recipies in his own house. 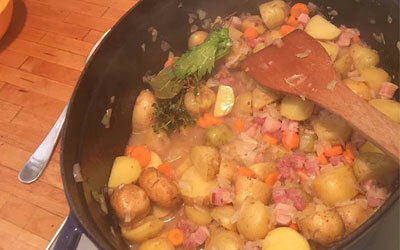 I think it was a very special day: to discover the house of a French, his way to cook and to taste life ! In this experience, everybody brings his specificity and it is perfect to meet each others through that cultural melting pot”.